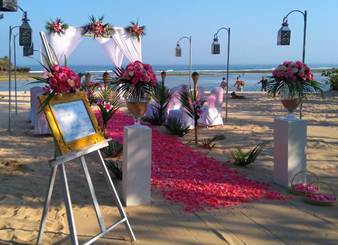 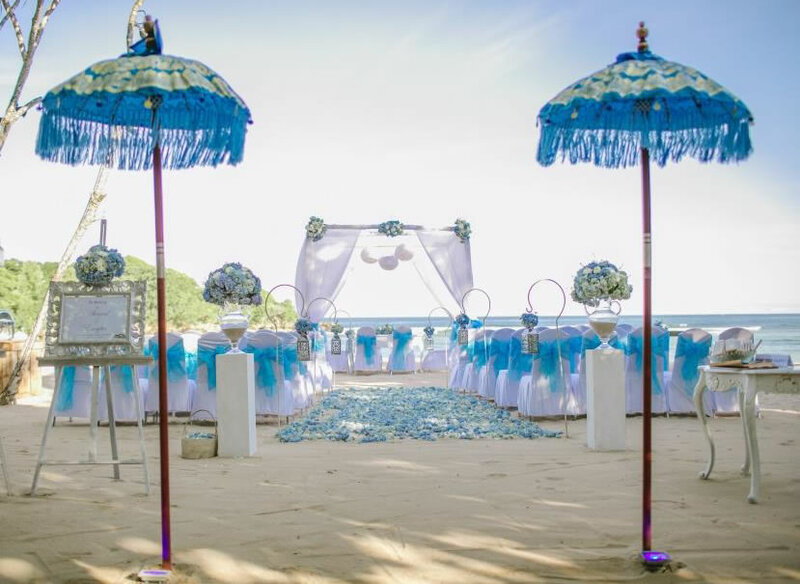 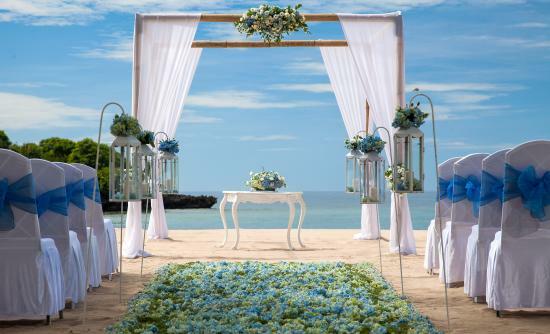 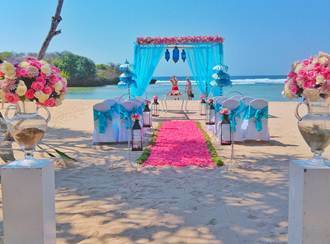 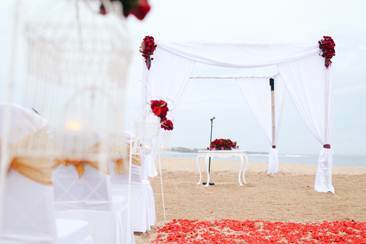 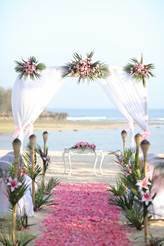 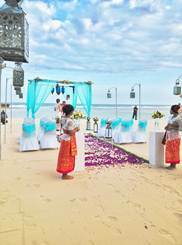 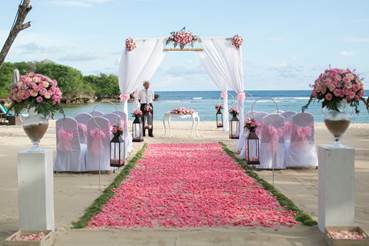 Imagine celebrating an unforgettable wedding with us here on the sandy beaches of Nusa Dua, Bali. 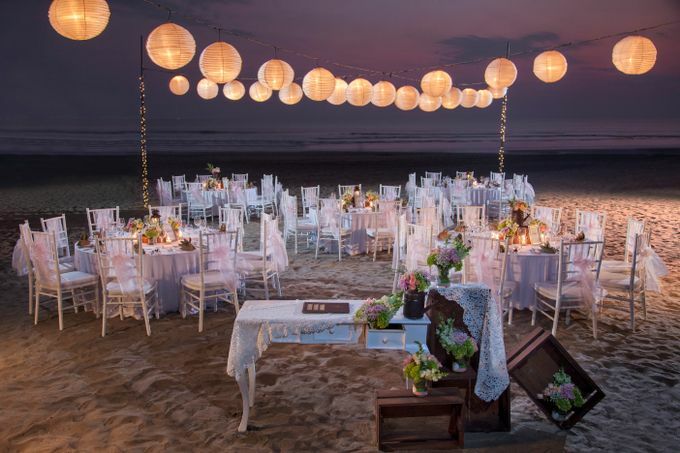 Our flexible venues inspire romantic events, and we offer personalized service and catering. 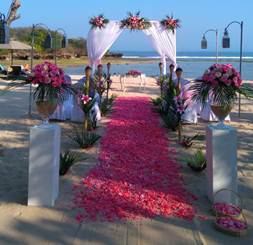 Treat your wedding party to a day of indulgent pampering at our on-site spa before the big occasion. 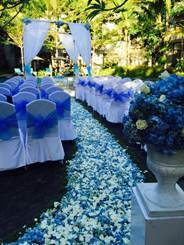 Your visiting guests will love our warm, inviting venues and wide range of superb hotel amenities. 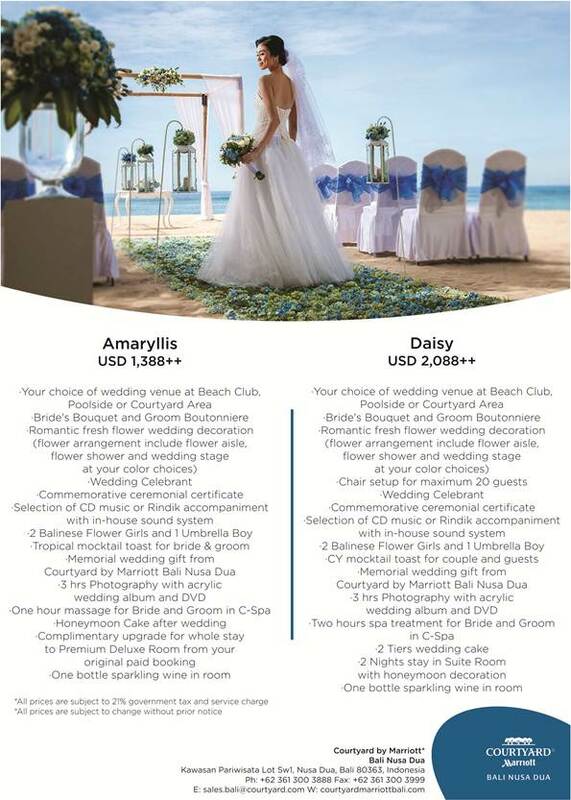 Listed below are Courtyard’s standard packages.